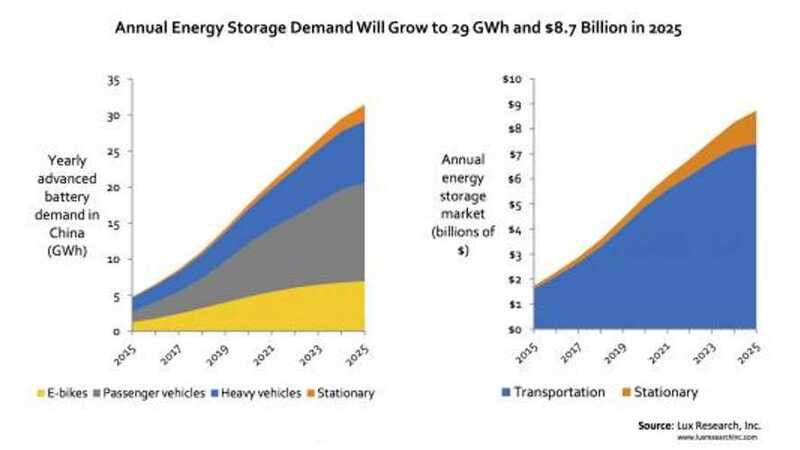 According to Lux Research, by 2018 the transportation and energy storage battery market will combine to be worth more than the entire consumer electronics market. 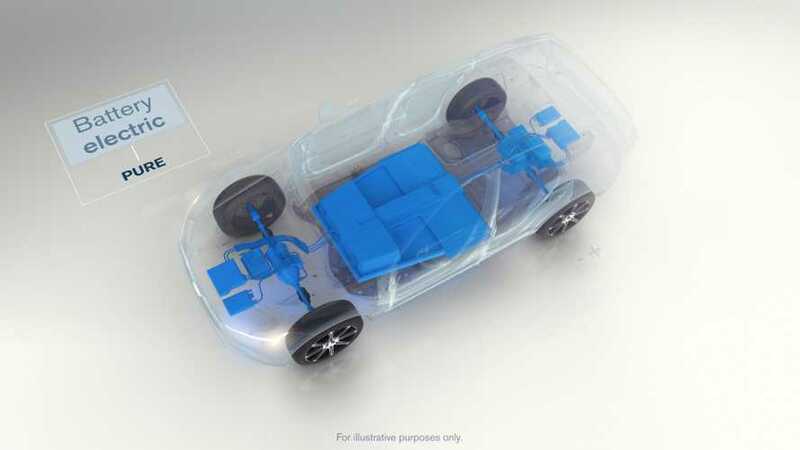 Lux Research after investigating second-life EV batteries, states that recycling is a better option than reusing in energy storage systems. 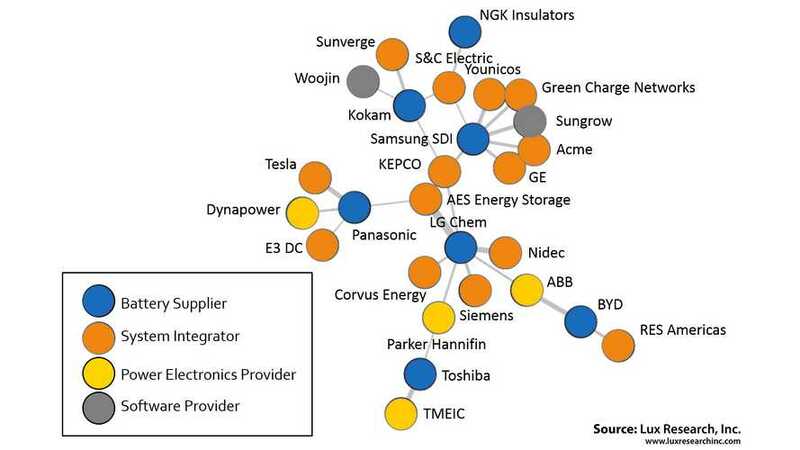 Lux Research released visual presentation of the key partnerships of seven leading stationary storage battery suppliers. 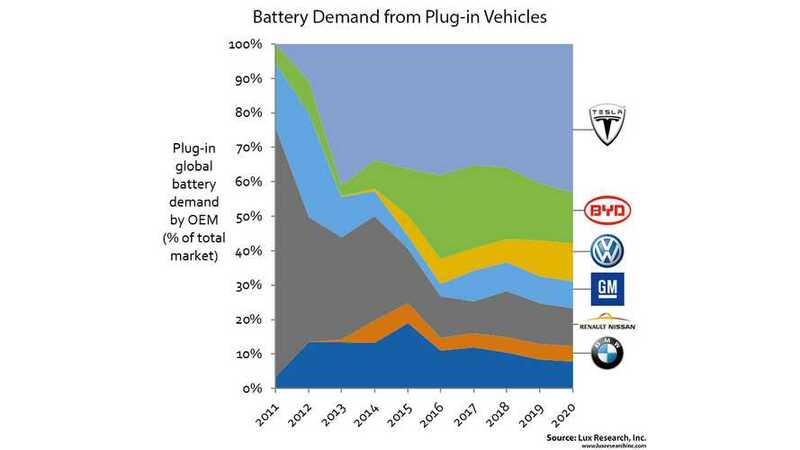 Lux Research released new lithium-ion battery market forecast, predicting that in 2020 sales will reach $10 billion. 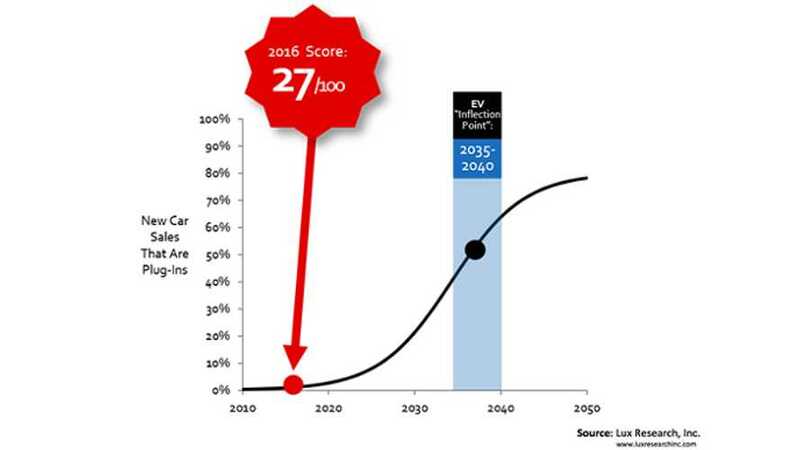 Lux Research announced a new monitoring tool for plug-in electric car market - the EV Inflection Tracker. 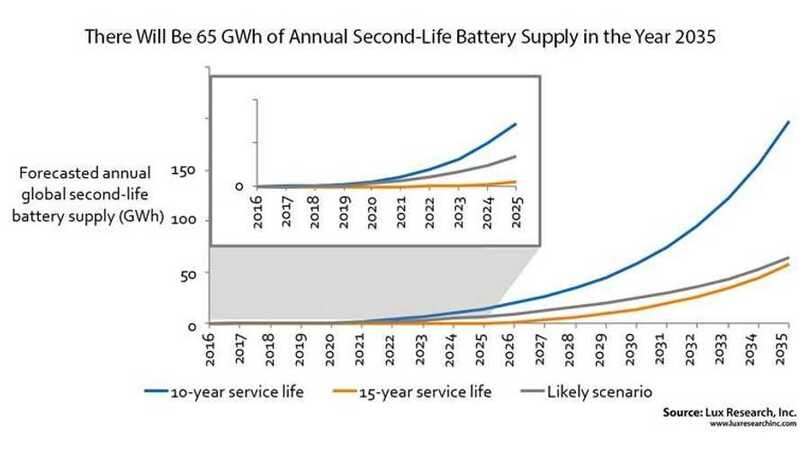 Lux Research in its report on battery market outlook sees a bright future for lithium-ion batteries in China. Forecasted growth by 2025 will quadruple revenues from $1.7 billion to $8.7 billion, while the energy in GWh will grow six times from about 5 GWh to some 31.3 GWh.